In an interview with ROAPE’s Ray Bush, he speaks about his work on the political economy of agricultural modernisation, policy reform and social transformation. Ray discusses family farming in the Near East and North Africa, the work he has done in the context of the FAO year of family farming in 2014. The publication can be found here. To begin with can you explain what family farming is or which type of production unit can be categorised as such, and more importantly for this discussion what are the problems with this definition? It is interesting that you begin with a definitional question as it is probably also one of the more difficult questions to respond to. It is significant that the Food and Agriculture Organisation (FAO) of the UN put the issue of family farming very firmly on the international agenda in 2014. It declared a year of family farming. One of the issues they tried to interrogate was: just what does a family farmer look like? What became very clear in that year of discussion and engagement with the topic globally, not just in North Africa and the Near East, is that effectively, they argued, there are probably something like 500 million family farmers worldwide. In North Africa and the Near East we can estimate maybe 15-17 million family farmers and we have to add in their family members. So who are these people? We have to consider that this is an extremely heterogeneous category – categories, plural rather than singular. The FAO were concerned with what we might say are small family farmers. Those with relatively low levels of access to land. 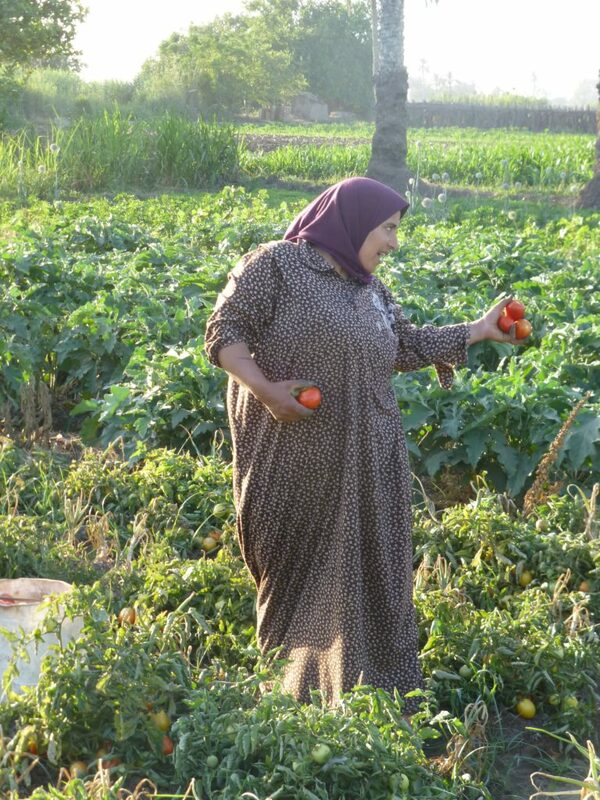 In Egypt for example family farmers and especially small family farmers, you are really talking about 80 percent of farmers who own less than a hectare of land. This really puts people into a category of, not farmers, but near landless or landless farmers because the areas of cultivation are very small, often very uneven, not very fertile, with poor access to irrigation, or solely rain-fed, that leaves granaries and communities open to the vagaries of environmental patterns. Governorate of Dakahlia, Egypt (Ray Bush, 2013). However, family farmers are seen, normally, to be smallholders, certainly with access to less than five or six acres, but depending on the quality of the land, even if it is larger they are seen to be small and often – usually – to be very poor with a high dependence upon family labour. Family labour within this context usually means women’s labour is particularly drawn upon and exploited, because women usually not only bear the labour burden in the fields and farms, but also in the households in terms of, not just physiological reproduction, but social reproduction. The family farmers the FAO is talking about here are small holders usually dependent upon family labour. That does not mean to say that some may not also hire in labour, but also very important and crucially having to sell their labour to work for others in the community and outside. So some may become seasonal labourers, not only on farms, but also as labour migrants. So the category is very heterogeneous, very problematic and needs to be investigated with degrees of openness rather than concretely determining and defining it in any hard and fast terms. In this the FAO made a reasonably good job in its year of family farming because it was very open. It led to an engagement with advocacy groups for family farmers, which was promoted by – as critical as one may be of him – the head of the FAO, Graciano da Silva – who had his term of office renewed from 2015 – 2019. I think, there was concern amongst some critical commentators that his office may not have been renewed. There seems to have been a shift in terms of what the FAO has been doing, to bring family farming to the public. This seems to deviate from the record of the last 15 years. Do you see a substantial repositioning of FAO in terms of what it advocates in relation to agricultural policy? I don’t think there is a dramatic shift in what it has declared its aims and objectives. These are, in terms of raising productivity, trying to be increasingly inclusive, but to do it in a way that is more open and transparent. I think, particularly the current head of FAO Graciano de Silva deserves quite a lot of credit. His period in office since 2012 has been a relative breath of fresh air compared with the person he replaced, Diaz, who really filled the organisation hierarchically and very conservatively with rather neoclassical middle and senior managers. One of the challenges de Silva has had is to actually try and place managers and cadres within FAO who are more open and sympathetic to criticisms that the market in agriculture will create starvation in terms of productivity and raising farmer livelihoods. Remember da Silva is a Brazilian trained economist. He worked with Lula in Brazil on Operation Hunger in 2000 and 2001, and he really tried to change the character of the institution of FAO to make it more open, to drive the idea of partnerships between United Nations organisations and advocacy groups and civil society present on the ground in the Global South. In so doing he tried to advance an idea of a kind of self-help and greater cooperation. It must have been a tremendous challenge to have a year declared by the United Nations for all the family farmers in the world. It goes against the trend of internationalisation of capital in agriculture and the promotion of agribusiness. I mean companies involved in the production and distribution and sale of high value low nutritious food stuffs on the world market. He has merely tried to put a brake on the idea that agribusiness is the salvation for everything. I think the year of family farming in 2014 put small farming on an agenda which wasn’t only focused around production per se, but was also trying to look at the idea of improving and developing rural livelihoods more generally, in pulling civil society groups like Via Campesina into the FAO organisation and development. But in doing this he was also criticised for perhaps bringing in organisations that advocated a kind of radical interpretation of agricultural modernisation into the tent of the United Nations, which might be seen a priori as rather conservative. It was the advocacy groups themselves who made this criticism: what’s the point of being inside the organisation that you are actually being very critical of? I think a sense of a ‘conservative fort’ is at work within an organisation like the FAO, should not be underestimated, its agenda is very conservative. Remember that since the year of family farming they went immediately into the ‘year of soils’, with a rhetoric of healthy soils for a healthy life. We know that in this discourse on soils that agribusiness and fertilizer companies are very aggressively placed – they pressure the ‘chemicalisation’ of agriculture, which the year of family farming was very critical of. So it is two steps forwards one step backwards, but at least the FAO, under de Silva, tried to tentatively move towards an understanding that we actually need to have on agrarian strategies that involve the producers of food. Those producers of food in the countryside are family farmers, who constitute such a dramatically significant element of the communities in the global south. In the Near East and North Africa, what are the most important characteristics of agriculture and food provision? What is the place of family farming in the region and how has international aid and government policy taken into account family farming? When I was asked by FAO to draft a paper on North Africa and the Near East it was a hell of a challenge to think how to do something with a remit which is supposed to look at family farming in such a large and heterogeneous region, but also a region that has many common characteristics. It is clear to me that there are some organising principles, looking at family farming, which depart from the mainstream. And by that I mean the region is characterised by three very big processes that are very conflictual and promote an incredible social differentiation within countries and between countries in the region. So the organising principles I tried to explore are: the role that conflict and war play, what happens to environmental transformation – not just global warming – but other environmental concerns, and also what are the consequences of economic reform and structural adjustment. Rather than writing blocks of narratives around particular country cases, which has some value of course, what I chose to do instead was to explore the regions through these bigger structural processes. I think what characterises the region most dramatically is the presence of war and conflict – a region that is being confronted by more conflict than probably any other region on the planet – and the consequence of that for agriculture and family farming of course is and has been calamitous and disastrous. We only need look now at the terrible consequences of the Saudi led invasion in Yemen. We know the consequences. Going back to the first Gulf War in 1990 that Iraq lost, as a result of that first conflict, and there were of course the sanctions, more than 2/3 of its gross domestic product lost and more than 500,000 kids died as result of sanctions and the destruction to subsistence. Remember that Iraq was seen as a bread basket before 1990 and subsequently it was characterised, by this somewhat derisive term, as a basket case for agriculture. This had nothing to do with the frailties of family farming, it had everything to do with imperialist intervention, occupation and terrible attacks on the countryside, which are probably most powerfully expressed by the Israeli occupation in Palestine today. FAO reports over many years have highlighted that Israel’s occupation of Palestine has dramatically undermined the livelihoods of more than 10,000 family farmers, as occupation, destruction, invasion, bombing, missile attacks destroy livelihoods, lives, communities, as well as the opportunity to grow, and sell, and harvest, and market agricultural produce. I was reading just this morning of a woman family farmer in Southern Gaza who was killed by a shell fired by the Israeli Defence Force. So the idea of conflict and war has to be put centre-stage in an analysis of the life chances and opportunities of family farmers in the region. Of course, the consequence of conflict, has a dramatic impact on environmental assets and environmental transformation, not just the consequence of global warming in a region that is highly dependent on very limited water resources, a characterisation of land that is very hostile to farming because it is incredibly arid. Sudan and Yemen, for example, depend for more than 50 percent of their agriculture on rain-fed agriculture so the effects of climate change are much more felt, more aggressively felt, in countries that are, to begin with poor and have difficulty managing or organising conservation of necessary nourishment, and of agricultural crop productions. As a region of course, the Near East and North Africa is one of the lowest emitters of CO2 compared to other areas, but also comparatively uneven. There are some very high emitters, like Saudi Arabia, for example, running its ‘chemicalised’ agricultural system and its air-conditioners. Compare that to a country like Yemen, for example. But I think this is in the area of climate reform, which of course is a man-made intervention. So one can see how strategies for agricultural modernisation are undermined. If you are kind you would say let down, if you are more analytically rigorous you would say, that, actually, a particular type of agricultural modernisation is promoted, i.e. an agricultural strategy without farmers. The long history of agricultural reforms shows remarkable continuity. Now is as good a time as any to reflect back on what the consequences of it will be and why the actual objectives of economic reform just simply have not been met. On the contrary economic reform, by which I mean liberalisation of agricultural markets, privatisation of land, the revoking of historical patterns of attempts by the states in the region after the WWII to promote land reform, which had a very strong redistributive element, has been significantly undermined by market-led agrarian reform and by quite aggressive liberalisation of not only markets in land, the commodification of land and labour, but also by generational crisis. Let me take just one example of this, in the country that has the longest period of economic reform, Egypt. Unusually, economic reform pre-dated the 1991 structural adjustment programme that Mubarak agreed with the World Bank and the IMF. A kind of reform began in the countryside as early as 1987. What one is seeing since has been quite a dramatic and regressive acceleration of social differentiation, marginalisation of more than about 80 percent of farmers living on less than two feddan, or acres, and an incredible elevation of poverty levels. Poverty levels that are a direct result of economic reform that has fashioned an idea that social differentiation is a good thing because what it does is accelerate some kind of modernisation based on the market, on the idea that somehow incentivising farmers to grow crops at different price indicators will boost productivity. Well we haven’t seen that! The evidence for that is at best sketchy and at worst simply not evident. One of the most dramatic consequences of the reform programme was something called Law 96 of 1992 to revoke the national legislation of the 1950s and early 1960s which effectively said – for the first time in Egypt’s history – that small farmers, in particular tenants, would have rights in perpetuity to the land. So it gave a stability to small farmers, including women, which historically under the kind of feudal remnants in the pre-Nasser period just wasn’t evident. So Law 96 of 1992 revoked that right to land in perpetuity, over a seven year period, but within these seven years prices for rental contracts – where there were contracts of course, in many cases there weren’t formal contracts – rose by 300 to 400 percent. In particular women-headed households were deleteriously impacted because often landlords refused to renew contracts with women because of the whole patriarchal underpinning of society. It was also a fear that landowners would rather try and rent out land to people who are farming from neighbouring communities to try and break any political opposition to the reforms. I think there are harsh consequences to market reforms. These reforms have also been evident in Tunisia, Algeria, and in Morocco with the so called green plan which was meant to incentivise agriculture but led to policies which weren’t based on discussion with small farmers. So, to summarise, there is an interrelationship between three big things, conflict in the region, environmental transformation and structural adjustment. And I cannot see any state in the region grasping that interconnectedness or involving and engaging with small farmers to try and promote an alternative development strategy to one driven by markets. So what can or does an alternative look like? You can’t simply say or make a plan for an alternative. Alternatives have to come out of concrete historical conditions. One thing of which I am certain is that it doesn’t mean giving help to companies like Citadel holdings, which is now being renamed as Qalaa holdings. Qalaa is probably Africa’s largest equity finance company, is a disaster. It is a holding company that now effectively has control over food from Alexandria down to Sudan and Uganda and Kenya. These are countries which are food scarce or vulnerable to food insecurity broadly defined. 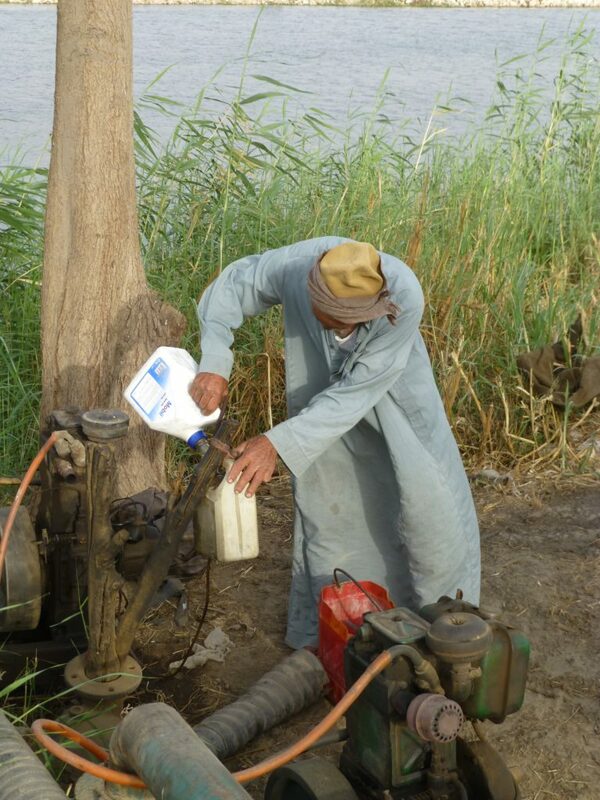 Allowing single companies to have such large holdings of land, control of water ways – in Sudan for example more than half a million acres in the south – beggars belief, frankly! Food is a strategic asset and it is an asset that has to be viewed as a collective resource rather than a privatised commodity from which companies can derive large amounts of profit. That leads back to the question, you’ve just asked, of what kind of alternative is possible. To get back to where we began, the FAO now talks very much of ‘trying to increase the share of the value added to farmers.’ How to do that? Well the FAO talks about engaging civil society more and bringing on board the advocacy groups. But I think the problem is: how can the farmers on the ground challenge the internationalisation of food regimes where there is such a high level of social differentiation on the ground and a high level of differential access to agricultural resources and access? I think the issue is then what alternative vision is possible? Do we stay with the status quo which has had the consequences that I have very briefly outlined above or do we encourage debate and turn it to a discussion about alternatives that tries to understand how it is possible to generate economic growth that creates jobs and employment in the country side? Yet, famously you could say before the uprising in Egypt that the country was developing but Egyptians were not. There were high levels of per capita growth, but that growth was not, so called, trickling down to the poor. On the contrary, many commentators, if they had enough courage to voice the economic evidence, showed that perhaps as many as 80 percent of Egyptians, prior to the uprising and of course since too, were living on less than two dollars a day. That would have made Egyptians poorer than Zimbabweans and we know that for many, I am afraid – grounded in a racist characterisation of the continent – that this is an analogy which is not palatable. So we are left with the question, how do we generate economic opportunities for the poor? The first thing you do is to raise local demand by boosting rural income. To do so you need to ensure that the products and commodities that the rural people themselves are producing are commodities which can generate and sustain local demand and local needs, rather than fashion economic strategies persistently on the basis that food security doesn’t mean that you have to be self-sufficient but that you can basically export your crops and try and generate foreign exchange on the international markets. Well we know that doesn’t work, that is not sustainable. So there has to be an understanding that farmers will then create the possibility and the conditions of not just agrarian transformation but urban income and urban transformation because the foundation of any modern society has to be the basis of generating sufficiently and appropriately priced food stuffs from local markets. Ray Bush is Professor of African Studies at the School of Politics and International Studies (POLIS) at the University of Leeds. He is also a member of the Leeds University Centre for African Studies (LUCAS) advisory board and member of the Review of African Political Economy’s Editorial Working Group. A version of this interview was originally posted by Thimar. Thimar shares information and analysis, to promote research, and to open debate on the nexus linking agriculture, environment and labour. Featured Photograph: Ray Bush speaking in Sheffield in 2012.